Invited by NGO Caritas Kosova office in Gjakova/Djakovica, 20 members ofthe NGO Shukarno Talenti folklore group visited the neighbourhood Ali Ibra (Kolonia) in Gjakova/Djakovica on January 21st, 2016 to exchange experiences. Both organizations have activities with children and youth related to music education and traditional dance, which helped them establish a common ground for potential cooperation. On March 1st, 2016, a delegation of 12 members of Caritas Kosovo and the folklore group from the neighbourhood Ali Ibra (former Kolonia) visited Roma Mahalla where NGO Shukarno Talenti presented their educational and cultural activities in Roma Mahalla, South Mitrovicë/a. NGO Shukarno Talenti will continue to seek partnerships throughout Kosovo to establish better cooperation in order to be informed about events and opportunities for collaboration on various projects. On January 18th and 19th 2016, in economic school ''Hasan Prishtina'' in Mitrovicë/a are held the final exams for 12th graders, who attended intensive education supported by DRC and Caritas through the subproject “Intensive Education for RAE Communities”. Many young adults from the RAE communities were unable to continue their education due to displacement and economic hardship. Out of 8 initially registered in October 2014, 6 Roma, Ashkali and Egyptian youth from Dy Korriku/Sitnicko Naselje have successfully passed the exams and completed their educational goal. On February 18th 2016, in a certification event organized by the school and Caritas, the students received their certificates. Besides DRC and Caritas, representatives from civil society in Mitrovicë/a, Municipal educational authorities and UNMIK participated in the event. The “Intensive Education for RAE Communities” is a subproject implemented by Caritas Kosova through Sida funds as an integral part of the DRC project 'Support of Roma, Ashkali and Egyptian communities in Mitrovicë/a'. Read more on the event in the local online portal MitrovicaTopPress. On 23 March NGO Shukarno Talenti visited NGO The Ideas Partnership from Fushë Kosovë/Kosovo Polje in order to exchange experiences and build their network among NGOs working with similar activities. Both organizations have activities related to folklore, which helped them establish a common ground for potential future cooperation. At the meeting, the youths exchanged experiences in order to better implement their projects and to overcome obstacles during implementation. NGO Shukarno Talenti will continue to seek partners throughout Kosovo to establish better cooperation in order to be informed about events and opportunities for collaboration on various projects. Shukarno Talenti perform traditional dance and folklore at various events and festivals, giving youths a platform to express their creativity and nurture their cultural heritage. 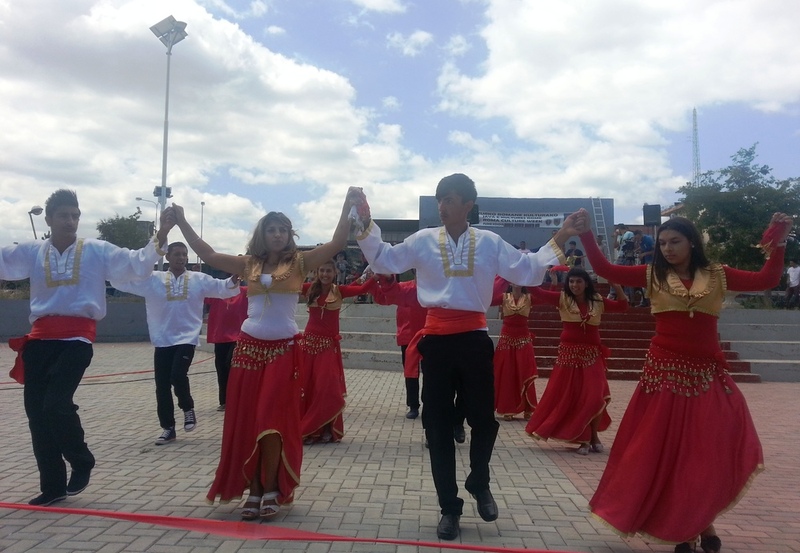 For International Roma Day 8 April 2015, Shukarno Talenti will perform in Kamenica Cultural Center on 8 April and at the Culture Center ‘Rexhep Mitrovica’ from 10.00-12.00 on 9 April. The event is open to the public and guests are cordially invited to participate in the celebration. Shukarno Talenti are part of Danish Refugee Council's community development projects, funded by Sida as part of the ‘Support to Roma, Ashkali and Egyptian Communities in Mitrovicë/a’ Project in Roma Mahalla, Mitrovicë/a. The 'HOLIDAY SEASON CRAFT FAIR' promotes traditional and innovative handicrafts produced by 15 NGOs and women's initiatives, among them Vullneti i Grave, and provides income generating opportunities to women in society. However, the Fair will not only provide a sales opportunity for the participating women, but also enable the participants to network with similar initiatives in the North and to explore possibilities for further collaboration with the Business Centre Zvecan. To this end the fair will be used as a platform to inform relevant stakeholders about women’s economic initiatives in the area, to present the work of the respective NGOs and women's initiatives and to engage in discussion with the Business Centre Zvecan and private sector representatives about ways to effectively promote traditional Kosovo crafts. 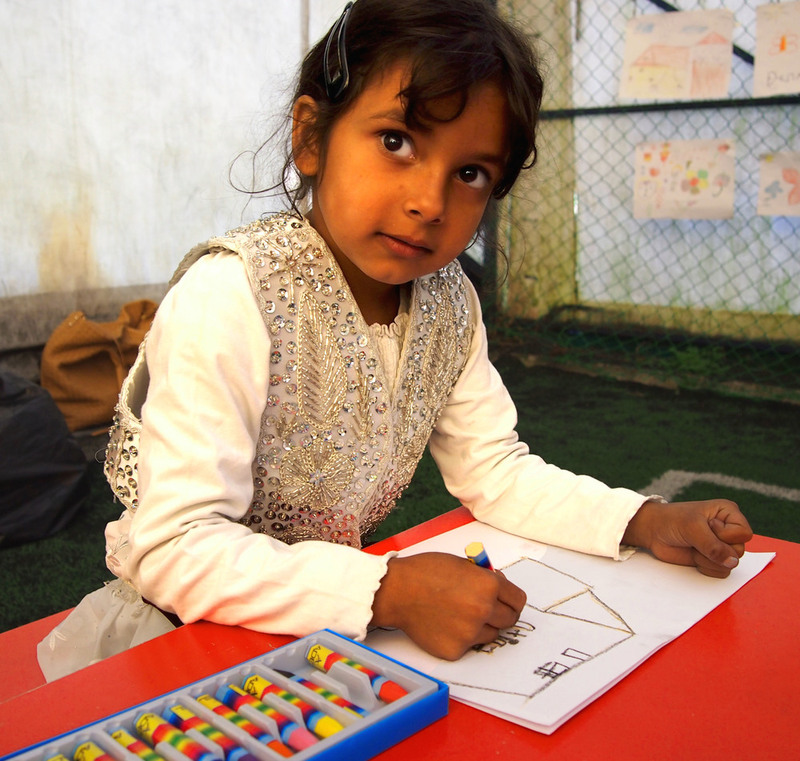 For the past three years, the Learning Centre has provided kindergarten, pre-school and homework support classes to the growing number of children and youth in Roma Mahalla. Since 2009, Danish Refugee Council has supported its former implementing partner Caritas and current partner Roma and Ashkalia Documentation Center (RADC) to run the Learning Centre located in Roma Mahalla, Mitrovicë/a. The Centre is currently funded solely by Sida as part of the Community Development component of the DRC Kosovo Stabilisation of Roma, Ashkalia and Egyptian Communities Project in Roma Mahalla Mitrovicë/a. Danish Refugee Council and Business Center Zvecan are organizing a 'HOLIDAYS FAIR CRAFT WORK' to promote, develop and nurture traditional and innovative handicrafts, and provide income generating opportunities to women in society. 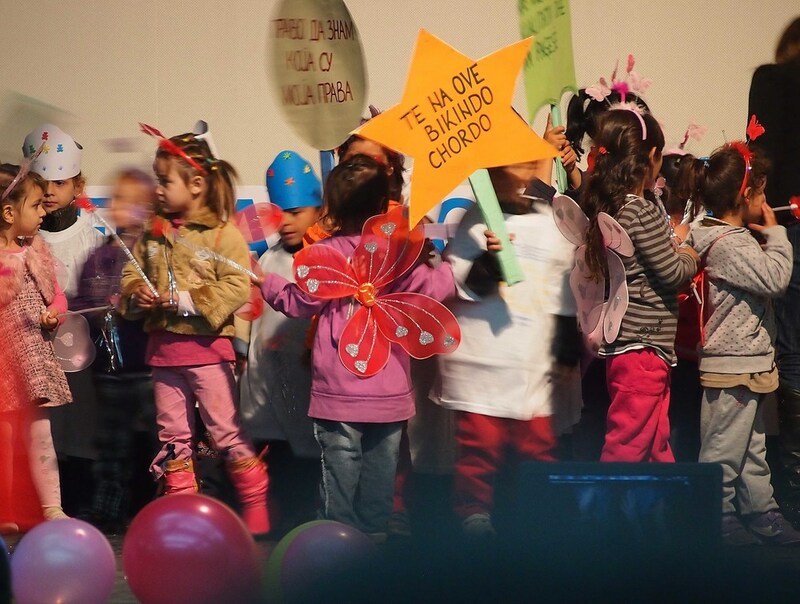 Under this motto, children from the Learning Center in Roma Mahalla, invited children from primary schools Andon Zako Cajup, Bedri Gjina and Eqrem Qabej to celebrate Universal Children's Day in the cultural hall in Mitrovicë/a. This event celebrated around the world marks the day on which the Declaration of the Rights of the Child and the Convention on the Rights of the Child were adopted. At the Learning Center, the children learned about their rights, made drawings and decorations and worked hard to perfect their performances. On the day, they recited poems, performed songs and dances and moderated the event themselves. In line with the ideals set down in the Charter which not only promote children's rights but also the understanding between children of different backgrounds and cultures, folklore dance groups from Roma Mahalla, and the Bosniak and Turkish community performed their traditional dances and gave the audience an insight into their culture and traditions. The event was supported by the Municipal Department for Culture, Sport and Youth in Mitrovica, the Danish Refugee Council and Mercy Corps. The Learning Center in Roma Mahalla is run by the RADC and funded by the Danish Refugee Council (DRC) under the DRC Kosovo Stabilisation of Roma, Ashkalia and Egyptian Communities Project in Roma Mahalla Mitrovicë/Mitrovica which is funded by Sida. On 23 October the Learning Center in Roma Mahalla invited parents and children to a day of games and competitions at the sports hall in Mitrovicë/a. Roughly 60 parents and 100 children came and participated actively in the various activities devised by teachers and teacher assistants. Learning Center staff were pleased to welcome such a large number of parents, including both mothers and fathers. With the help of their parents, the children made cabbage heads from different vegetables, drawings and paper sculptures. Prizes for the best examples in the different categories were handed out by members of the judging panel consisting of Learning Center staff and representatives from OSCE. For the past 3 years, the Learning Center has supported children between the ages of 3 to 15, providing pre-school classes and homework support for children enrolled in primary school in order to increase RAE children's chances to successfully participate in the mainstream school system in Mitrovicë/a. The Learning Center is part of the DRC Kosovo Stabilisation of Roma, Ashkalia and Egyptian Communities Project in Roma Mahalla Mitrovicë/Mitrovica and is currently funded solely by Sida and run by DRC through its local implementing partner RAD Center. — says a member of staff at the Learning Center. Celebrating the Day of Bosniaks on 28 September, the Cultural Centre in Mitrovicë/a hosted colourful performances by local folklore groups. Roma Mahalla's very own dance troupe, Shukarno Talenti, was among the groups invited to entertain the audience throughout the evening. Shukarno Talenti is a self-organized group of youths from Roma Mahalla, who meet every week to practice their routines. Shukarno Talenti has recently been registered as an NGO and older members are now also teaching younger children. For both children and youths, Shukarno Talenti is not only a fun after-school activity, but also a way to pass on their heritage to younger generations and keep the folk dance traditions alive in the community. Shukarno Talenti are part of Danish Refugee Council's community development projects, funded by Sida as part of the 'Stabilization of Roma, Ashkali and Egyptian Community Project' in Roma Mahalla, Mitrovicë/a. NGO Open Door hands out certificates to participants of this year's 'Handicrafts and Cultural Heritage Fair'. 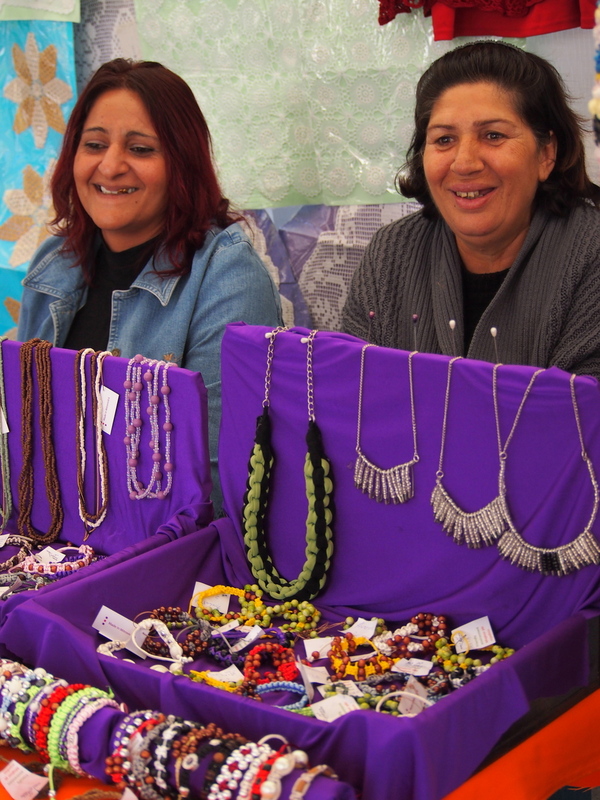 During the last 3 months, Roma Mahalla's women's group 'Vullneti i Grave' have gained valuable experience selling their hand-made creations at various fairs in Prishtina. They participated in a fair organized by the Ministry of Diaspora in June and just recently in the five-day 'Handicrafts and Cultural Heritage Fair 2013' organized by the NGO 'Open Door' which is held every year in September in Prishtina. With every fair, the women honed their skills in talking to customers and in displaying their products. Using that knowledge, Vullneti i Grave even organized their own fair with the support of DRC's implementing partner, NGO Lulebora. 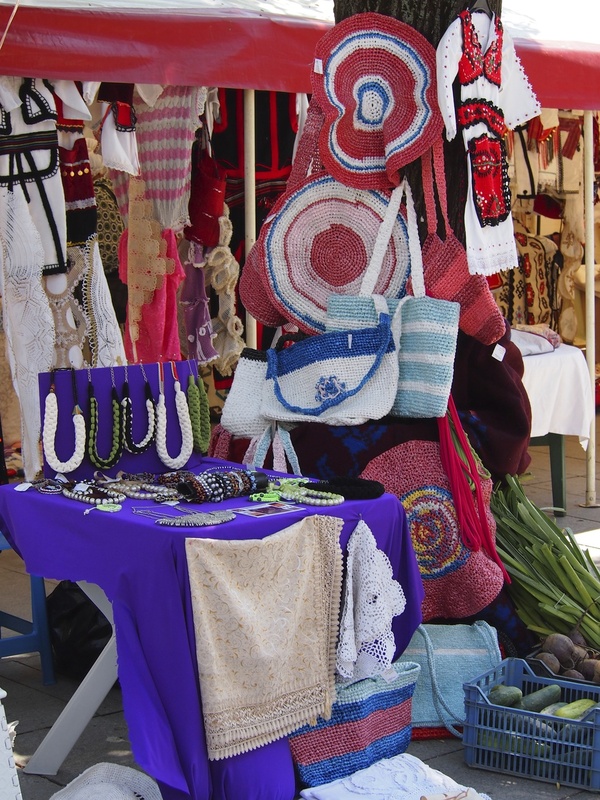 The Vullneti i Grave fair brought together five NGO's and women's groups from Mitrovicë/a and Fushë Kosova, giving them the opportunity to exhibit and sell their products on Mother Teresa Square in Prishtina. If you are curious to see the products for yourself, Vullneti i Grave will be at the Handicrafts Fair in Gjilan from 30/9 to 1/10. For more information about the women, their stories and products, visit their website www.vullnetiigrave.com or follow them on facebook. Vullneti i Grave are part of the community development component under the 'Stabilization of Roma, Ashkali and Egyptian Community Project' funded by Sida. 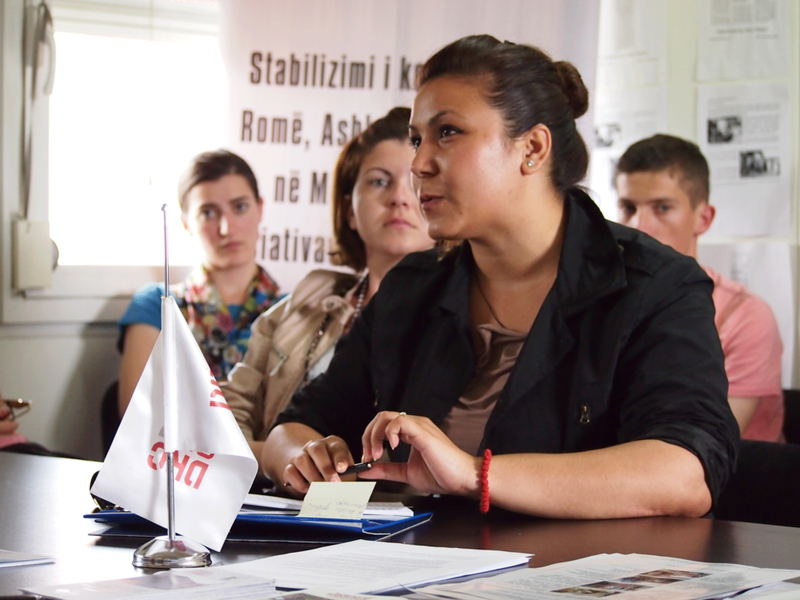 55 women and 20 youth from Roma, Ashkali and Egyptian communities based in Roma Mahalla and 2 Korriku in Mitrovicë/a started literacy classes on July 15 ,2013. 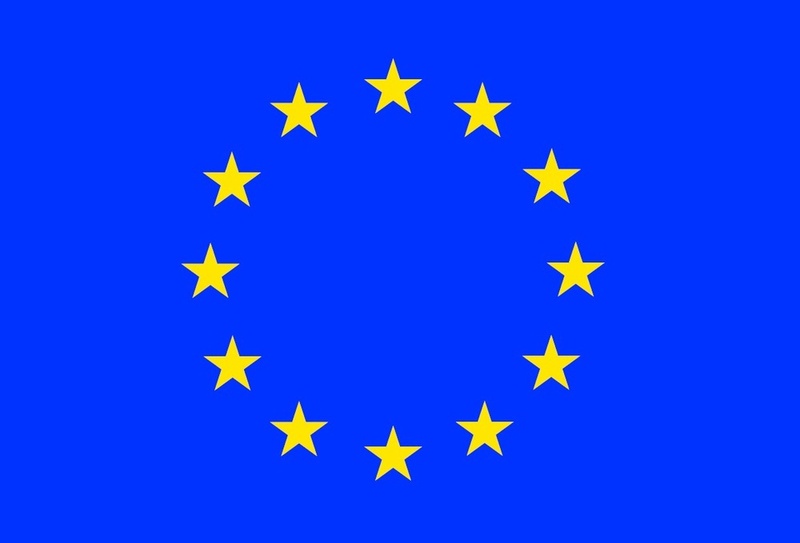 The initiative will be implemented by two RAE women LNGO’s (Roma Women for Roma Women and Women Group 2 Korriku). The project is supported by Caritas Kosovo and will be conducted by professional teachers appointed by the Department for Education in Mitrovicë/a. During the five months of working with the teachers, the women and youth will improve their reading and writing skills and be able to fill out official forms by themselves, write, read and sign letters. In addition, during the implementation of the project, DRC will work on capacity building of the two RAE women NGO’s. In this way the RAE women and youth gain the ability to be more independent in society, find a job more easily and integrate more fully into society. After completing the 5 months of classes they will be rewarded with certificates from the Department for Education which proves that they finished the course successfully. The DRC Kosovo Stabilization of Roma, Ashkalia and Egyptian Communities Project in Roma Mahalla Mitrovicë/Mitrovica is funded by SIDA. The purpose of promoting Roma culture, through music and dancing is to empower ethnic minority Roma children and young people to develop their creative talents, as well as fostering social inclusion and cohesion, which aids their access to mainstream education. Bringing Roma dance to the stage is sometimes challenging. However Shukarno Talenti, the Roma folklore group and Roma music band from Roma Mahalla in Mitrovica/ë want to bring their traditions to life through dance. From the spring till the end of autumn the RAE community have numerous celebrations and gatherings, across Kosovo and the region. One of them is the festival and celebration of Roma culture in Kosovo which took place in Kosovo Polje/Fush Kosove 31 July 2013. Despite their difficult economic situation, duties around the school and home this group of enthusiasts pushes the boundaries within and outside their communities. Among several RAE groups that performed that day “Shukarno Talenti” came to attention with their bright red costumes and the energy that they transferred to the audience who came to watch them and random passers-by who stopped for a moment to be delighted with the rhythm and acrobatics of this performance. 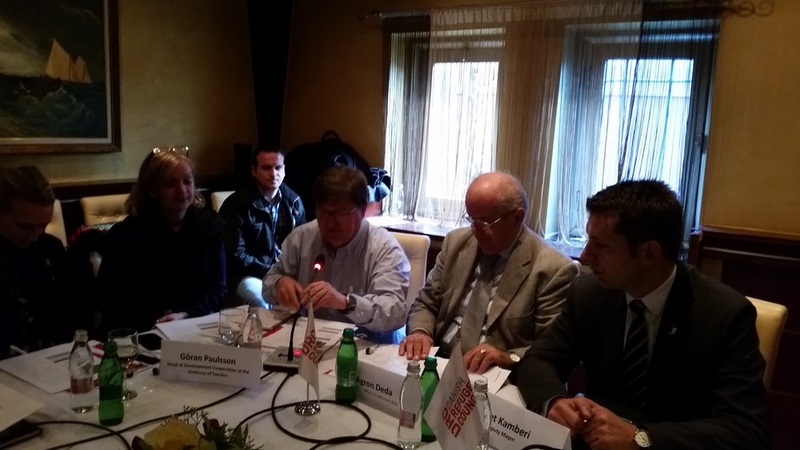 Among a large audience, there were many representatives of Kosovo institutions including the Deputy U.S. Ambassador. On 11 June, DRC welcomed 20 students from the International Business College Mitrovica (IBCM) to Roma Mahalla. DRC Project Manager Jasmina greeted them with a presentation on the community development and economic development initiatives that DRC is currently implementing in Roma Mahalla. Together with DRC staff, the students went on to have a closer look at the businesses hosted at the DRC Business Incubator, and the various projects led by Roma, Ashkali and Egyptian community (RAE) LNGOs and supported by DRC. The students had a chance to see the Roma Mahalla Learning Center for children run by RAE LNGO RADC and the opportunity to chat with members of the women's handicrafts group, who put their latest creations on display. The field visit ended on a high note with a performance by Shukarno Talenti, Roma Mahalla's very own folklore dance troupe, which was initiated by youths from the RAE community and is now in the process of registering as an NGO. As many of the students visited Roma Mahalla for the first time, they were keen to learn more about the community and DRC's work. This field visit marks the first step in a closer collaboration between DRC Mitrovica and IBCM. In the coming months, two IBCM students will start an internship with DRC in Roma Mahalla. DRC's activities within community and economic development will provide the students with the opportunity to apply theoretical knowledge gained in IBCM's Marketing and Management and Public Administration programmes and to gain practical experience. Sonja Novak, Head of the Public Administration Department at IBCM notes: "We are very happy to work more closely with DRC and the community in Roma Mahalla. The internships offered by DRC are a unique opportunity for our students to apply in practice what they learn about social inclusion for instance. At IBCM, we not only promote quality education, but also strive to give students from all communities in Mitrovica the opportunity to learn." More information on the students chosen for the internships and DRC's cooperation with IBCM will follow. The DRC Kosovo Stabilisation of Roma, Ashkalia and Egyptian (RAE) Communities Project in Roma Mahalla Mitrovicë/Mitrovica combines economic development with activities geared towards community development. The project is funded by SIDA.